Tannishtha Chatterjee has had a busy year. 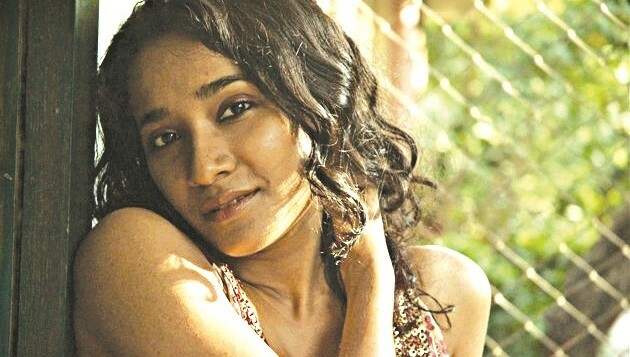 With UnIndian (August 19) and Island City (September 9) hitting the screens recently, the 35-year-old actress is getting ready for her next two releases a�� Parched (Hindi) and Lion (English) a�� and is currently shooting for a biopic on the first woman doctor of the country, Dr Rakhmabai. Chatterjee has already set precedence by bagging the best actress awards for Parched at ISLA (Spanish Film Festival) and Indian Film Festival of Los Angeles in 2015. Directed by Leena Yadav and produced by Ajay Devgn, Parched premiered at the Toronto International Film Festival last year. The award-winning Dekh Indian Circus star tells us how acting as a profession was never on the cards for her; even though she attended Barry Johna��s workshop during her school days. a�?At Venki (Sri Venkateswara College, Delhi University) where I did Chemistry honours, I also used to do a lot of music performances and some plays. I never knew I would take it up as a profession. I just thought of them as extra-curricular activities,a�? laughs Chatterjee. In the movie Parched, Chatterjee will be essaying the role of Rania��based on a real-life widow of the same name from a village in Bhuj. a�?I met her when I was travelling for some other projects. And while I was trying to learn their culture, Rani told me her story, and I shared it with Leena. Later, we travelled to Bhuj where she met Rani and other women. It was then that Leena wrote Parched,a�? says Chatterjee. Chatterjee calls herself a Hindustani classical vocalist but is not looking to promote that talent. a�?If someone asks me to sing, I will do it. But to go out there and sing and record an album, I cana��t do all that. The business side of me is zeroa��that way I am a total a�?Bonga��,a�? says the Mumbai-based actress who now wishes to explore the comedy genre. She is also writing a comic play along with a friend. Impressed by the recent Marathi movie Sairat, she believes the length of the role is not as important as the scope of the character. Not willing to reveal her role in Lion, which is set to premiere at the Toronto International Film Festival tomorrow, Chatterjee concludes, a�?I have been doing international films since 2005 (Shadows of Time, a German movie). It expands our vision as artistes and makes the films more multicultural.a�?